Let's talk about what we see in this picture and make sure we know all the animal names. What animals do you see in this picture, tell me what they are doing. I see a cat and a peacock. 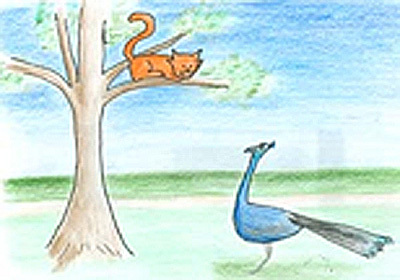 The cat has climbed a tree and the peacock is watching him. I wonder why the peacock is watching him.